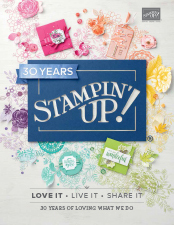 Today’s post is a little different as I will be showcasing some of my favourite projects from my fellow Stampin’ Up! demonstrators. I have chosen some of my favourites from their blogs and hope you will join me weekly to see projects. I am also hoping to CASE some of these projects putting my own spin on them later in the week. 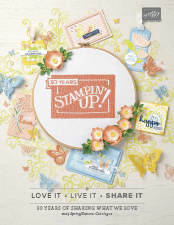 Today’s first project is from my upline Karen Varley at Donemark Papercrafts I love this stamp set its one of my favourites and really like Karen’s use of the babywipe technique. I love the watercolour effect on this project im not a fussy floral person so this stamp wouldn’t usually appeal however seeing it used like this makes me think it might be worth adding to my wishlist. Today’s final project is from Christine Bettany from Christine’s crafting I really love this colours in this project and the background die is gorgeous.